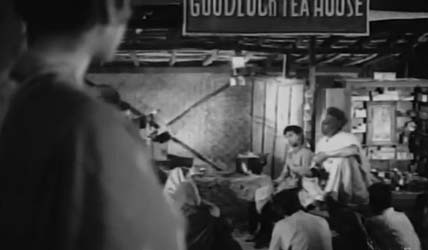 I am not a Krishnabhakt (I’m not even a Hindu), but when you’re a diehard fan of old Hindi cinema, you can’t really avoid noting the many, many references to Krishna, can you? 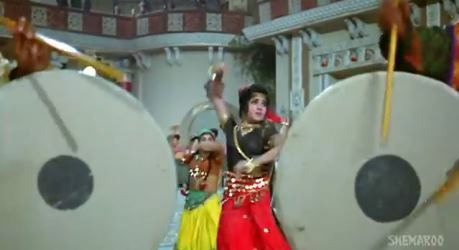 The fact is, Krishna is one Hindu deity who seems to appear in just about every other old Hindi film featuring a Hindu household. 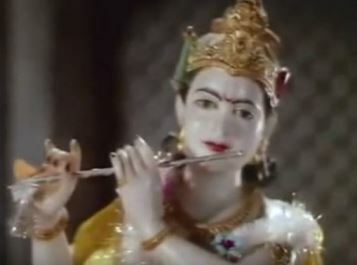 Mostly, he’s in the form that little painted/gilded idol, draped dhoti, peacock feather, and flute in his hands, that stands in the little household shrine, seen in passing. Often, when some tragedy hits (or threatens) someone (invariably female) comes and weeps before the idol. Or sings, pleading for mercy, for succor. But Krishna as the protector, the giver of divine help, is just one of the ways in which Krishna is viewed. 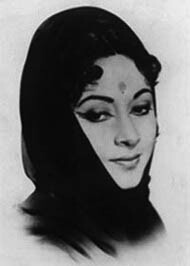 He is, as is obvious in songs like Mohe panghat pe Nandlal chhed gayo re or Madhuban mein Radhika naache re Giridhar ki muraliya baaje re, also an embodiment of romance: teasing the milkmaids, wooing Radha, charming them all. And there’s the Krishna who exemplifies mischievous childhood: the matka-breaking, butter-stealing infant that is alluded to in songs like Bada natkhat hai Krishna-Kanhaiyya. 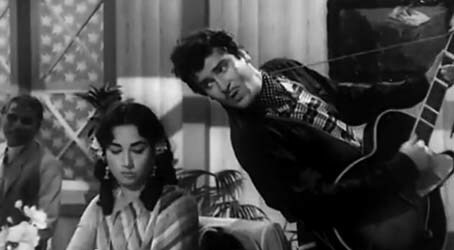 He’s everywhere in old Hindi film songs.